I may be coming to these a little late , if Warren Ellis was writing about them in 2009 , however thanks to Datainadequate I have caught up. 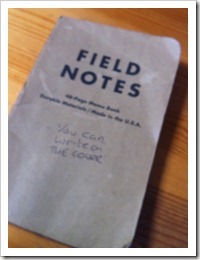 There is now a ‘priority’ to the capturing of notes versus whole ideas. The Moleskine notebooks will continue to be used for my side project ; Paper & Pen Blog and the Field Notes notebooks are the goto for spot, jot and scribbling of ideas and thoughts. Like Warren I headed to The Paperie and ordered my 3Pack of plain notebooks and these tidy brown books now accompany my daily wanderings and meetings. 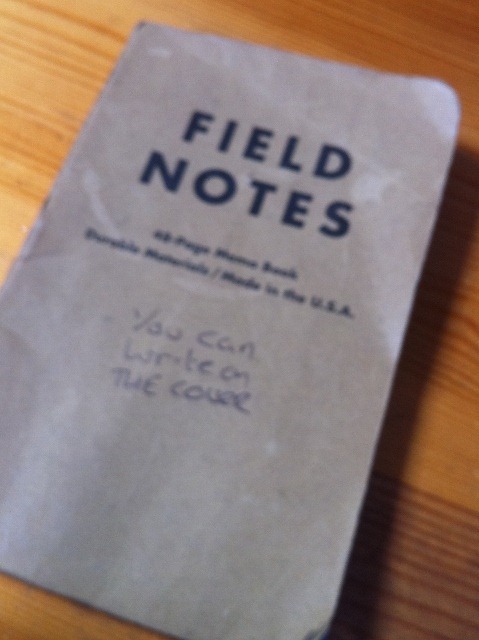 Thanks John and thanks Field Notes. ← West Sussex Better Connected :- Or How To Eat An Elephant.